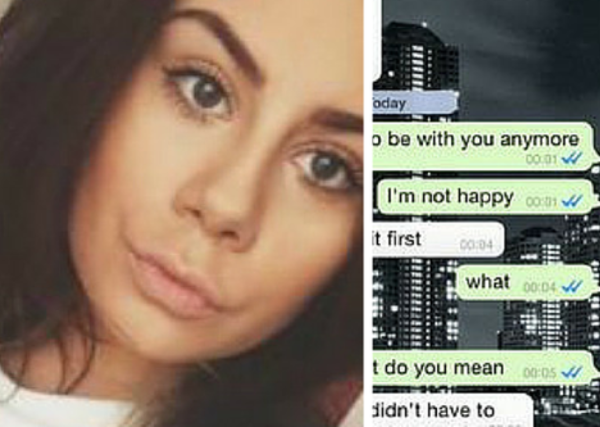 Hayleigh Mcbay thought it would be funny to send her boyfriend a break-up text as an April Fools prank. Using WhatsApp, she told her boyfriend that she did not want to be his girlfriend anymore. "I don't want to be with you anymore. I am not happy," Hayleigh wrote. But the joke was on her when her boyfriend agreed to break-up. "Thank God you said it first so I didn't have to." Hayleigh then tweeted out screenshot of the conversation which has received more than 7000 retweets and 6000 favourites. Luckily, it turns out the boyfriend did not really want to break up. He knew the break-up text was a prank so he decided to turn the tables.